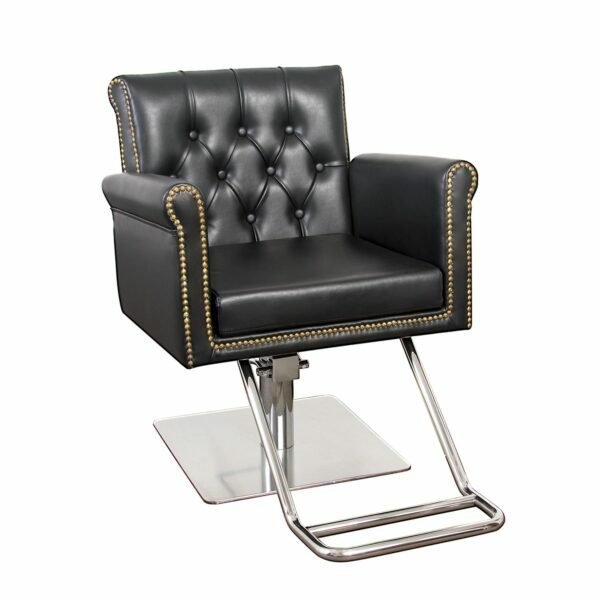 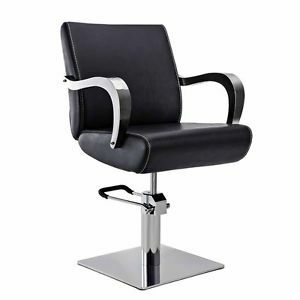 KNIGHT ALL PURPOSE STYLING CHAIR Dimensions Width of Seat: 23.8 Inside Seat Width: 19.9 Depth of Seat: 23.8 Height of Seat: 20.5 Seat Bottom to Ground: 15.2 ~ 21.6 26 inches round base ONE YEAR WARRANTY Dimensions may not be exact. 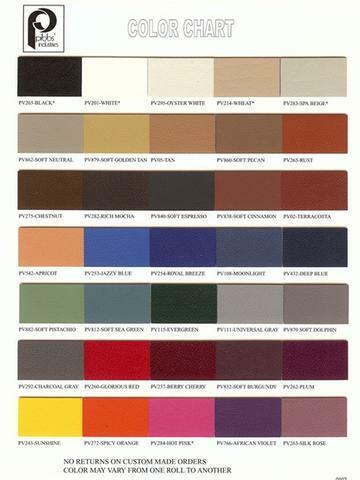 Please verify before you place an order. 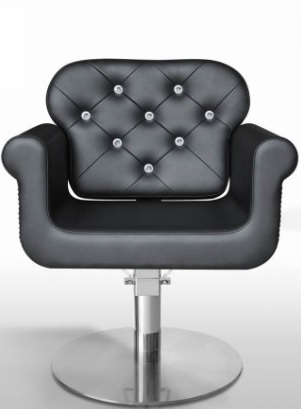 This chair features an all around uni-body seat with back cut out detail. 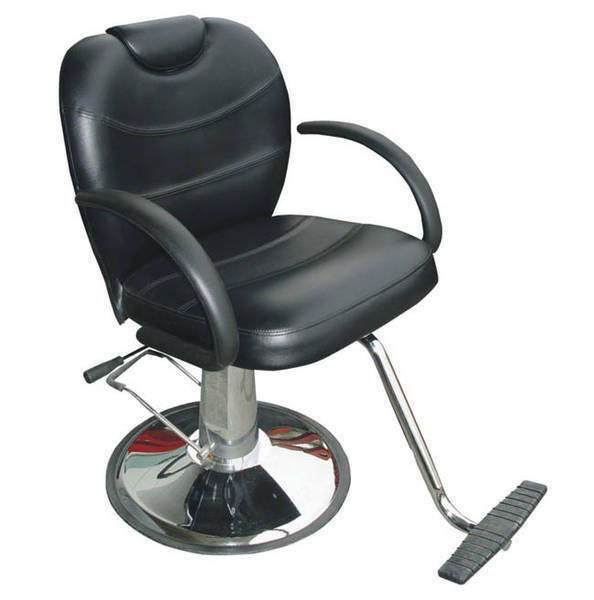 The padding is made out of high density foam which prevents the chair seat from dipping and maintain its shape for a long period of time. 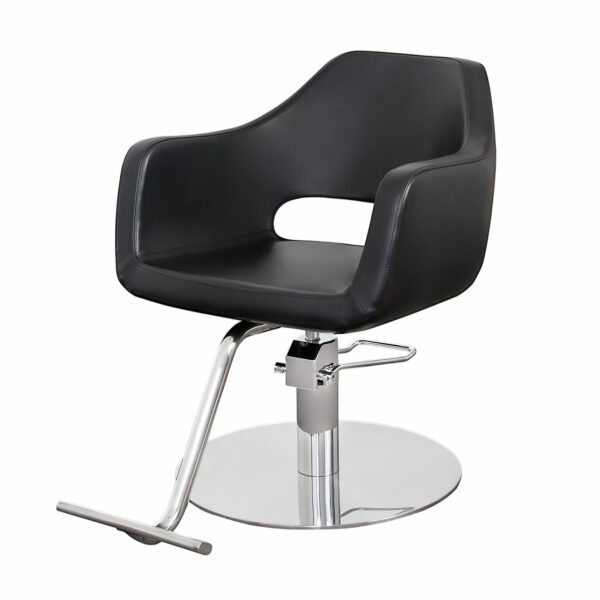 The chair has an upright contoured back which helps customers sit up right without being uncomfortable. 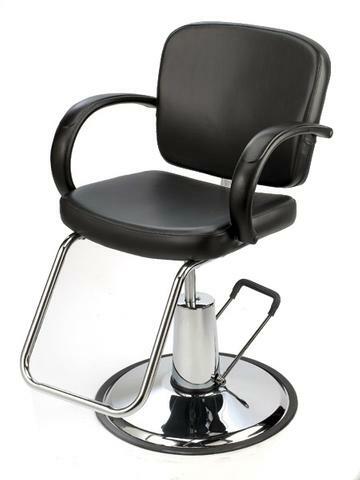 The Stainless steel base shown in the picture is upgraded base. 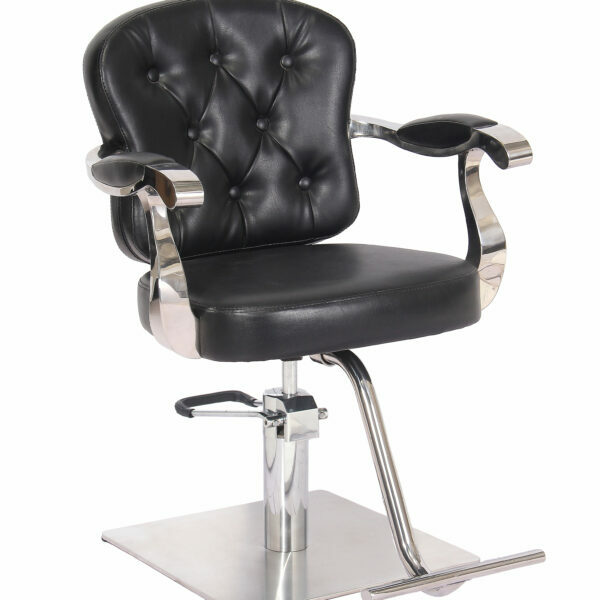 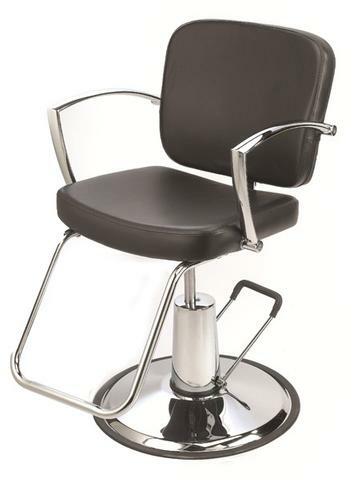 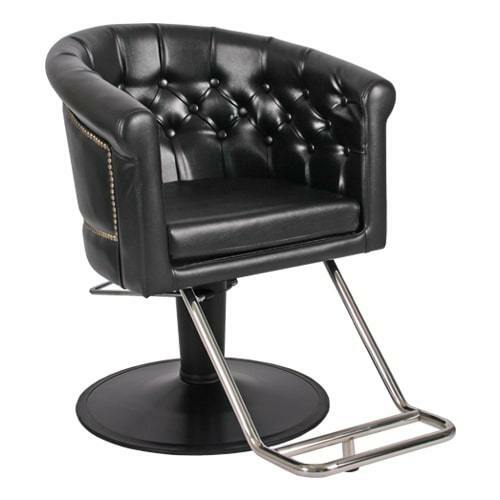 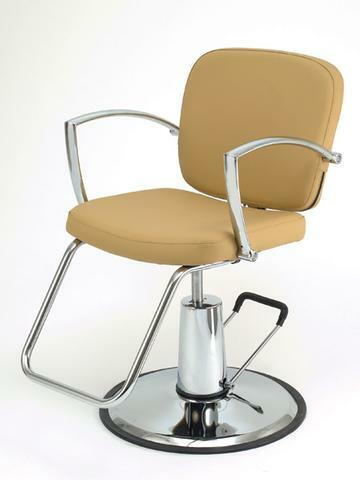 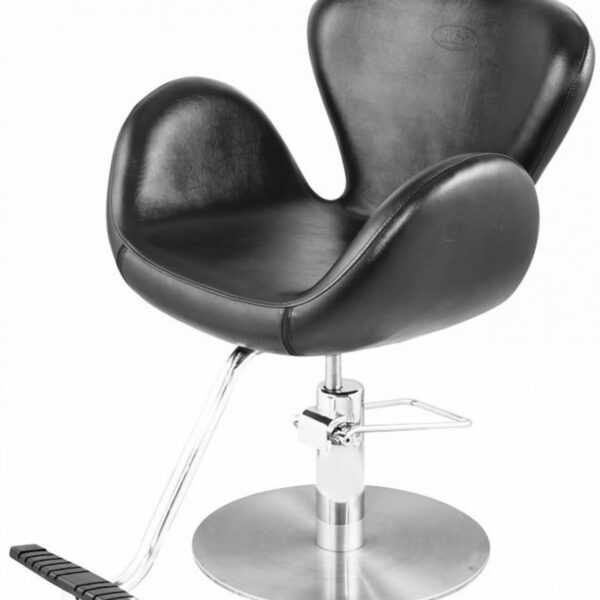 Standard chair comes with chrome round base. 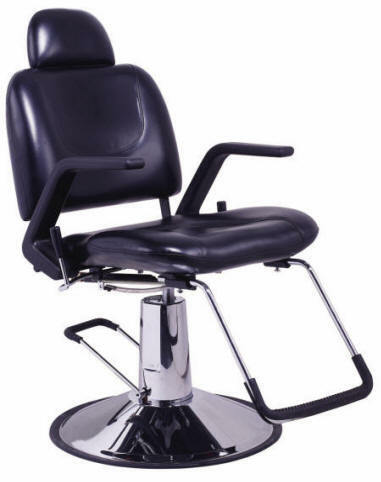 Inner-arm to inner-arm: 20" Outer-arm: 24" Height of chair (From floor to top of seat): 17.5" Lift adjustment: 5"